New job postings hint at a potentially multiplatform, multiplayer, stealth extravaganza in the pipeline at Konami. 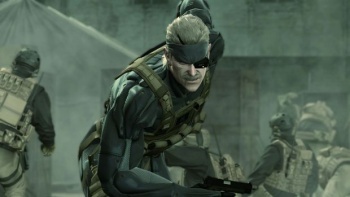 A slew of job postings on the Konami website have revealed that Hideo Kojima's studio, Kojima Productions, is looking for staff to work on a "next-generation" Metal Gear Solid game. Kojima Productions is looking for all kinds of staff, from scripters to level designers to CG concept artists. The requirements for the various jobs also contain a lot of hints about the game itself. The descriptions for the posts of "Graphics Programmer" and "Network Programmer" asks for experience in working with the Xbox 360, PS3 or PC. This suggests that the game might feature a multiplayer mode - possibly similar to Metal Gear Online - and that it could be a multiplatform release. Obviously, this is only conjecture, but with spin-off Metal Gear Solid: Rising appearing on both the PS3 and the Xbox 360, other games in the series being multiplatform is far from impossible. It's not clear whether these listings are for another game in the main series, or for Rising, which is supposedly not due for release until 2012. It's going to be tricky to make a true sequel - or at least one with Solid Snake or Raiden as the protagonist - as Metal Gear Solid 4 sewed up pretty much every loose end going, but a prequel, like Metal Gear Solid 3 could work, as could a sequel with a new hero.